Looking for a little getaway with the family? Check out these great winter breaks at the Alton Towers Resort for as little as £150 per Family !! Escape to the Alton Towers Resort for a fun-filled Winter Weekend on selected dates between November and February 2018, packed with activities for the whole family to enjoy from only £150! 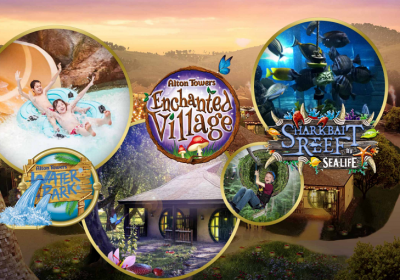 Throughout your weekend you’ll get to visit the sharks in Sharkbait Reef by SEA LIFE*, have gallons of excitement in the Alton Towers Waterpark and enjoy a whole host of wonderful evening entertainment! You’ll also have the chance to meet Postman Pat & Tree Fu Tom, watch the magic show then sing along with our house band, The Fabulous Scott Family. For even more fun, test your skills at our Extraordinary Golf** or go above and beyond on our low ropes course in Tree Top Quest**. After your first day, rest your head with an overnight stay in the Alton Towers Hotel, Enchanted Village Lodge or CBeebies Land Hotel, then wake up the next morning to a scrumptious breakfast. All of this from just £38pp!